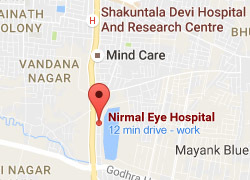 Nirmal Eye Hospital was started in 2013 by Dr. Arun Jain MS, FRCS, MRCS (London) and Dr. Vandana Jain with an aim to provide high quality eye care at affordable cost. We at Nirmal Eye Hospital are commited in providing very high quality eye care, Using the most modern technologies at affordable cost to all sections of society. Dr. Arun Jain did his schooling and medical qualification from Gujarat. He did MS in Ophthalmology in 1998 from Baroda Medical College. He was awarded as best candidate in MS. In order to expand his horizons he pursued further study and surgical training in England. In Year 2002 he did FRCS in ophthalmology and MRCS as well from Royal College of Surgeons of Edinburgh (England). He has published many research papers in international scientific journals and presented research articals at international scientific meetings. He worked in England for 12 years (From 2000 to 2012) as a specialist ophthalmologist doing highly advanced Micro Incision Phacoemulsification Cataract Surgery in National Health Service of British Government. He also specialised in Squint, DCR, Medical Retina and Refractive Surgery (Lasik Laser). After working in England for 12 years he decided to come back to his birth place Indore and serve his own people. He started Nirmal Eye Hospital in 2013 which is a 10 bedded hospital, providing comprehensive eye care service under one roof. He is a member of The Royal College of Ophthalmologist as well as fellow of The Royal College of Surgeons of Edinburgh, Permanent member of General Medical Council (London), European Society of Cataract and Refractive Surgeon, IMA and All india ophthalmological society. 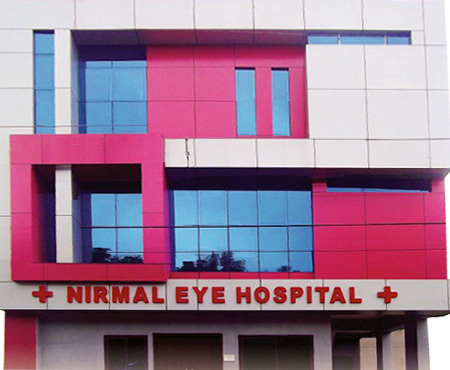 You are Welcome to the Nirmal Eye Hospital Located at Indore, Madhya Pradesh. Nirmal Eye Hospital is one of the best Eye Hospital The doctors are very well experienced & highly qualified. The behavior of doctors and staff is quite satisfactory and appreciable. The Hospital is well equipped with latest types of equipments. It was a pleasure visiting Nirmal Eye Hospital. I was impressed with the functioning of the hospital. I am sure it would attract more patients as it belongs to a professional group. I wish the hospital a success.